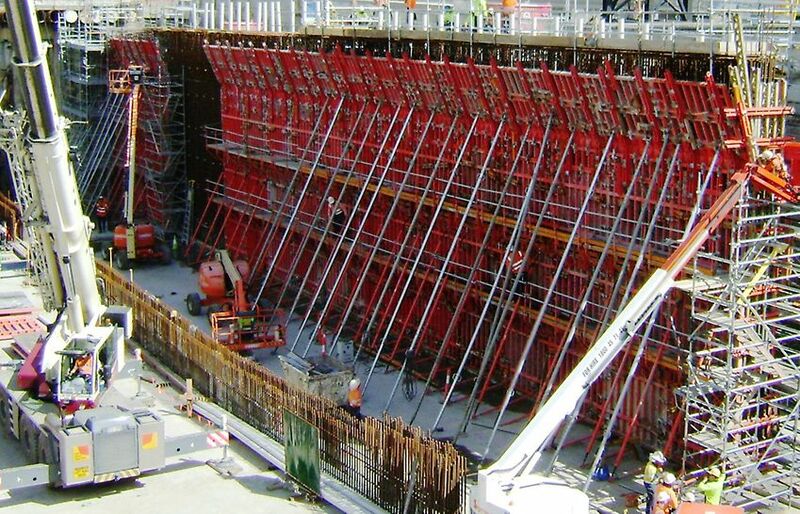 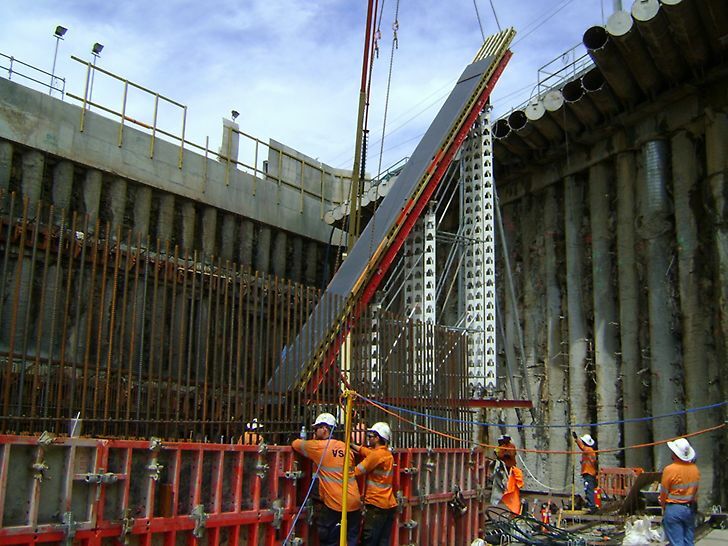 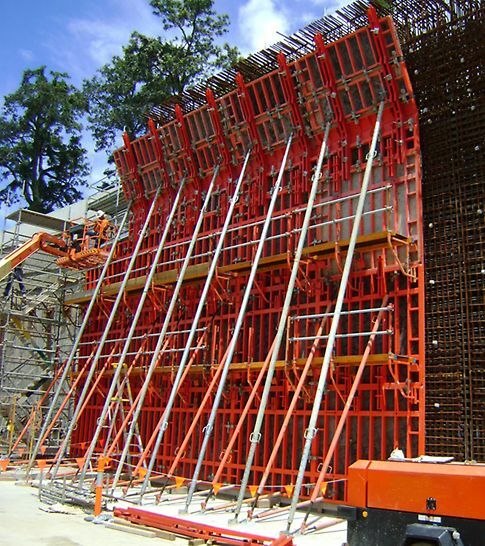 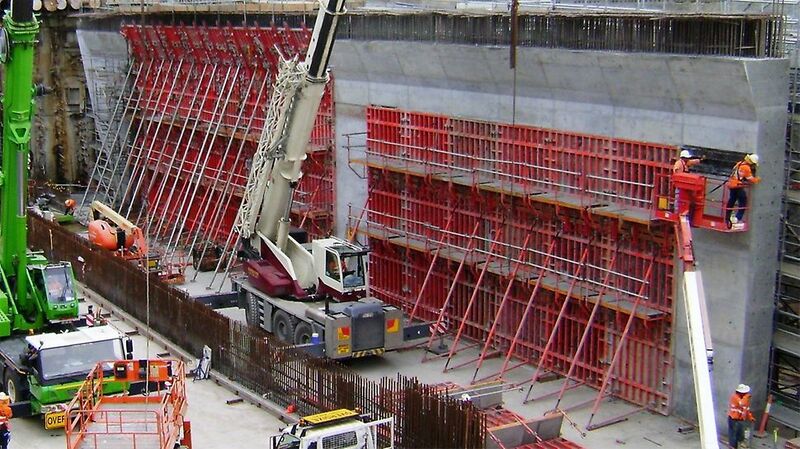 Suppling in excess of 2500 m² of TRIO formwork along with specially designed 10m high sloping stop-end forms utilising RCS and HD200 to support the jacked boxes cutting toe. 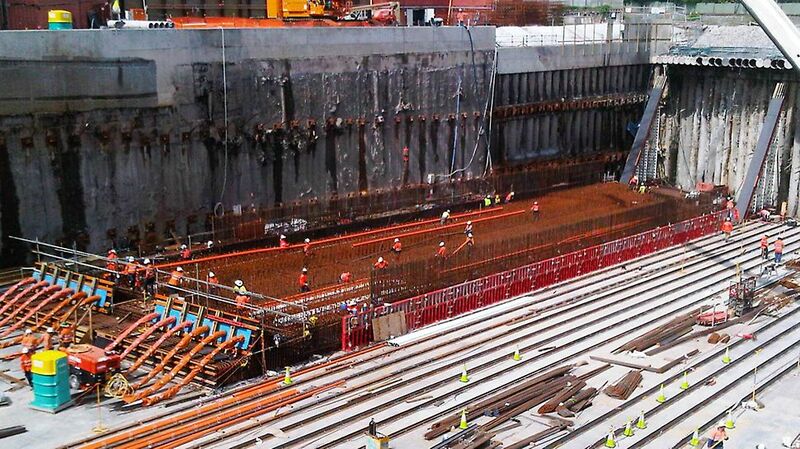 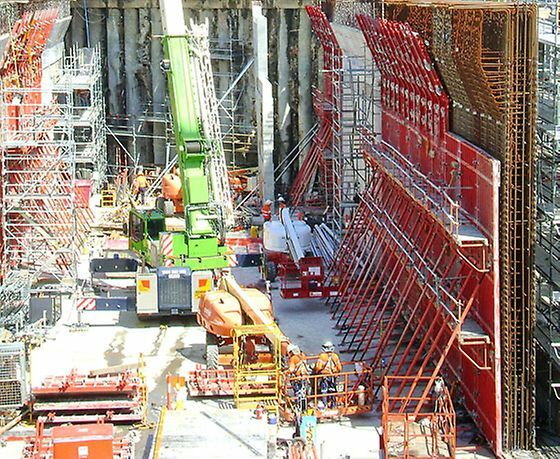 Two massive concrete boxes, 65 metre long, 12.5 metres high with a combined span of 38 metres, were pushed 55 metres into position beneath the railway embankment under Queensland's busiest railway line. 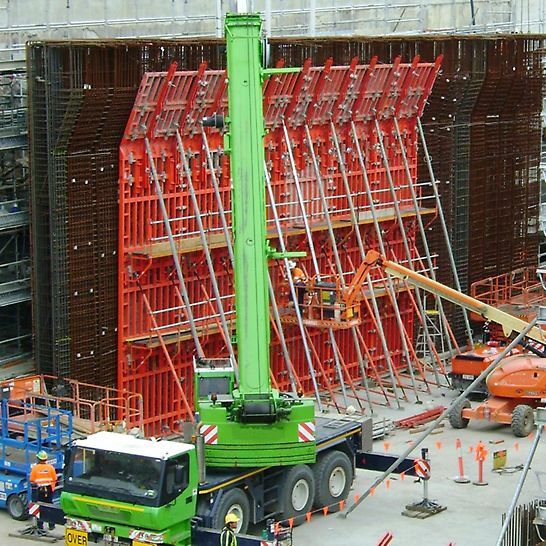 The two huge concrete boxes were then constructed adjacent to the railway line, before hydraulic jacks and steel strands were used to push and pull the boxes through the rail embankment.